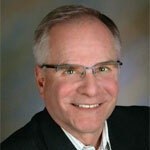 Jeff Gruber is a Senior Human Resource Executive with over 30 years of business and Human Resources experience. He possesses a diverse leadership background from multiple industries with organizations such as PepsiCo, Bell and Howell, NeuroSource and Caremark. His industry experiences include consumer products and marketing, manufacturing, healthcare, telecommunications, transportation and distribution and food service. Jeff has also been involved with companies of varying size; those that were in a start-up growth mode and those that were in transition and turn-around. His broad experience assessing the effectiveness of organizations allows him to determine the strength of the relationship between business requirements and present and future talent requirements. Jeff received his MBA from St. Francis College and his BS in Business from Indiana University. "Getting the Right Talent in the Right Seat heading in the Right Direction"